Aru Shah and the End of Time is the first book in a brand new Pandava Quartet series by New York Times bestselling author Roshani Chokshi ! I have read The Star-Touched Queen series by Roshani in the past, and really, really enjoyed the story, so when this book crossed my radar, I knew I would have to check it out!! I'm so glad I did, I really enjoyed this book! Aru Shah and the End of Time is the first book to be released by the new Disney-Hyperion imprint, Rick Riordan Presents! If you don't know what Rick Riordan Presents is, you can read more about it Here. Basically, it's an imprint that will be devoted just middle grade books by authors from underrepresented cultures and backgrounds. Does that sound great, or what?? 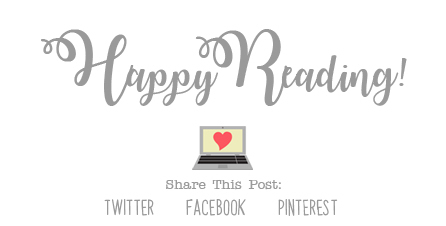 How awesome will it be to read about different cultures, from authors that are actually from each culture? I don't know about you guys, but I'm pretty excited for this!! 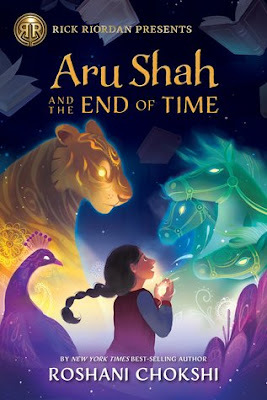 Aru Shah and the End of Time is a story is about a 12 year old girl named Aru Shah, who, in an attempt to impress her schoolmates, unintentionally releases and ancient demon, who, if not stopped, could cause the end of time. Let me say, if you're a fan of Rick Riordan's stories, or of any kind of mythology, you will definitely want to check out this book. I love reading Rick's books, because not only are they completely engaging, but they are also educating as well. I felt this and SO MUCH MORE about Aru Shah and the End of Time. Not only did Roshani Chokshi keep me completely entertained with the story, but it also taught me all about Hindu Mythology, which I knew nothing about, but am now completely fascinated with. This book also has some really great characters. There's not just one, but TWO awesome heroines' in the story, and it was absolutely fascinating to go along on their journey with them to stop the end of time. These girls were in no way perfect, and brought up so many memories from my youth. (Yup, I was once a 12 year old girl. I get it, Aru!) I love them! There are a lot of really awesome secondary characters in the story as well, Boo being one of my favorites, and I was completely fascinated by them all! The storyline for the book, as I mentioned above, is all about Hindu mythology. I'll be perfectly honest with you, I probably wouldn't know half of the things I know about Greek, Roman, Egyptian, and Norse mythology without having read Rick Riordan's books, and I LOVE that I have retained that information long after I read them. (It helps with those Jeopardy categories!) I know the same is going to happen with this book. Not only is Roshani is telling us a story with Aru Shah and the End of Time, she's also educating us on Hindu Mythology as well, and I love that! The whole story was completely fascinating, and I can't wait to get my hand on the next book(s) in the series as soon as possible. Overall; I really, really enjoyed Aru Shah and the End of Time, and I absolutely can't wait to read the rest of the books in this series when they are released!! I love the characters, and the storyline, and the fact that it made me laugh out loud so many times. I loved it! (As if you can't tell!) 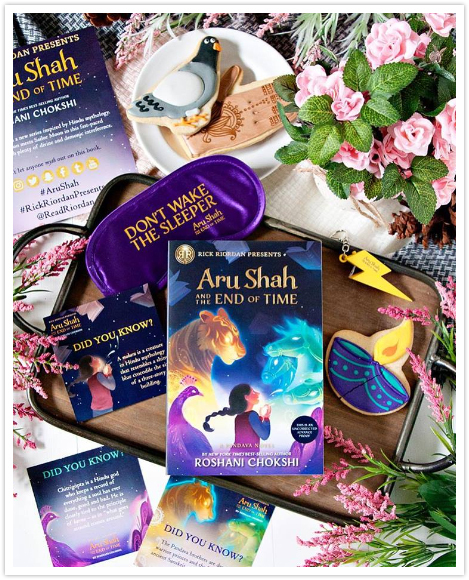 If you're a fan of mythology, and love books that are similar to Rick Riordan's, do check out Aru Shah and the End of Time by Roshani Chokshi! I hope you enjoyed it just as much as I did!